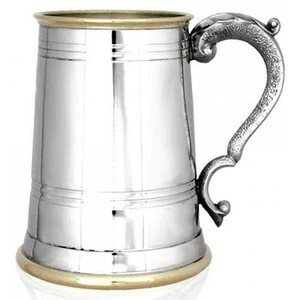 This one pint pewter tankard features brass details at the top and bottom and two triple band pin lines running around the centre. 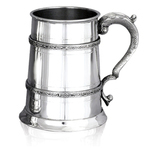 It also has a lovely detailed flourish handle. 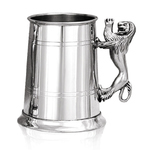 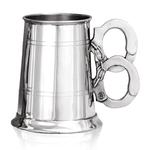 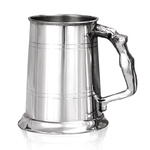 Can be engraved on the front of the tankard with a message of your choice.